Happy new year dandies! We've had an exciting holiday season with the great #dandySANTA series and prize giveaways, plus more city politics and infrastructure stories, plus amazing photos of winter cycling in Afghanistan. 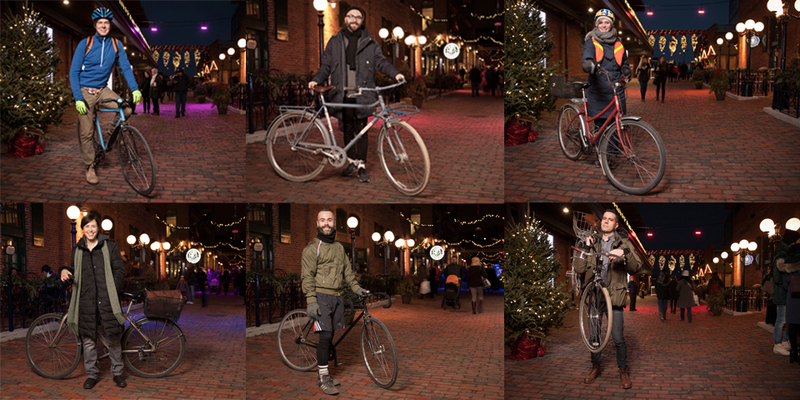 For our #dandySANTA winter cyclist series we profiled 16 cyclists from Soulpepper theater, Steam Whistle and top bike shops around the city. We talked to them about tips for staying warm (layer up!) and safe (take it easy!) while cycling in the winter and what bike lanes are on their wish list this year. As we watch a new session on city council take shape, our managing web editor, Jenna Campbell, had the chance to speak with Ward 22 councillor Josh Matlow about lowering speed limits. We discovered the City of Toronto will produce a report on the feasibility of lowering speed limits on residential streets to 30 km/h in April. Our interview with the new chair of the Public Works committee is upcoming. ALSO UPCOMING: The "Coldest Day of the Year" ride on Saturday, January 31 and Critical Mass on Friday, January 30. Check it out here and subscribe to our newsletter here.